Your support keeps WLIW21's quality programs free and independent. Sustainer members support WLIW21 through convenient monthly gifts. Being a Sustainer means no more annual renewal notices which saves money and resources so that more of your contribution goes towards the series and specials you enjoy most. My authorization to withdraw my monthly gift from the account indicated shall remain in effect until I notify WLIW21 that I wish to change it or end it, and WLIW21 has reasonable time to act on my wishes. A record of each payment will appear on my monthly credit card or bank statement and will serve as my receipt. An annual summary of giving will be sent to me each January, for tax purposes. No more renewal notices! 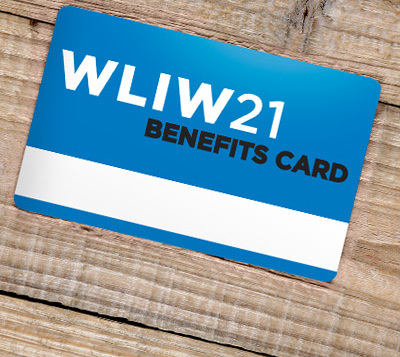 Receive your new WLIW21 Member Benefits Card automatically each January without interruption. e-Newsletter and e-mails featuring details on upcoming WLIW21 series and specials.